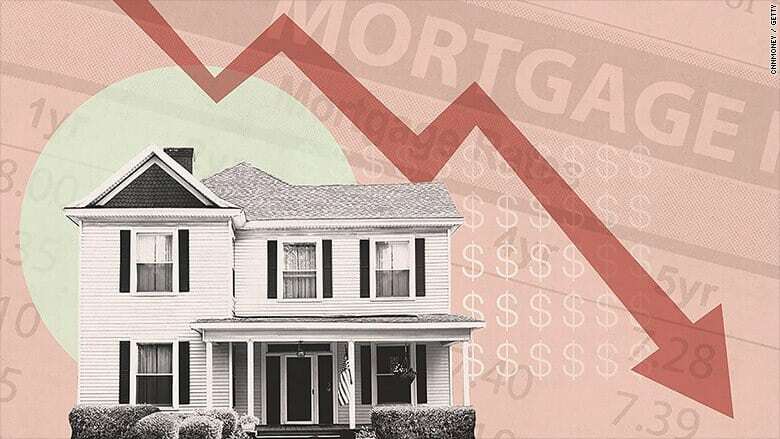 In December, when the Federal Reserve raised rates for the first time in nearly a decade, many would-be homebuyers assumed it meant the beginning of the end for record-low mortgage rates. “This is evidence that the Federal Reserve isn't the sole determinant of U.S. mortgage rates,” said Mark Hamrick, senior economic analyst at Bankrate. The 30-year mortgage rate fell to 3.79%, the fourth straight week of declines, according to Freddie Mac. A year ago, the rate averaged 3.66%. The rate on a 15-year fixed mortgage also dropped to 3.07%. On Wednesday, following weeks of volatility on Wall Street and global markets, the central bank left the benchmark rate unchanged. The rate-setting committee will meet again in March. While the central bank doesn't control mortgage rates, a higher Federal Funds rate makes it more expensive for banks to borrow money, which can ultimately be passed on to consumers taking out loans. Lower interest rates are good news for homebuyers looking to get into the market. “This is one of the remarkable positive influences we are seeing being exerted in the housing market right now,” said Hamrick. But tight inventory has helped push home prices higher, creating an affordability problem in many markets throughout the country. In response to the lower rates, mortgage applications ticked up 8.8% last week. While lower rates help both buyers and sellers, it's unclear how long they will last. “The future direction of rates remains to be seen, and will be based on the health of the economy,” said Hamrick.